Technology is pivotal in any business, it empowers your people to be both productive and effective, it allows you to engage and manage relationships with your customers and it can most certainly be what differentiates you from the competition. We help businesses to gain that technology advantage. We help you to obtain all the benefits of the cloud, increasing flexibility while reducing ongoing costs. We also reduce risk through dependable connectivity, cyber security and inherent business continuity. 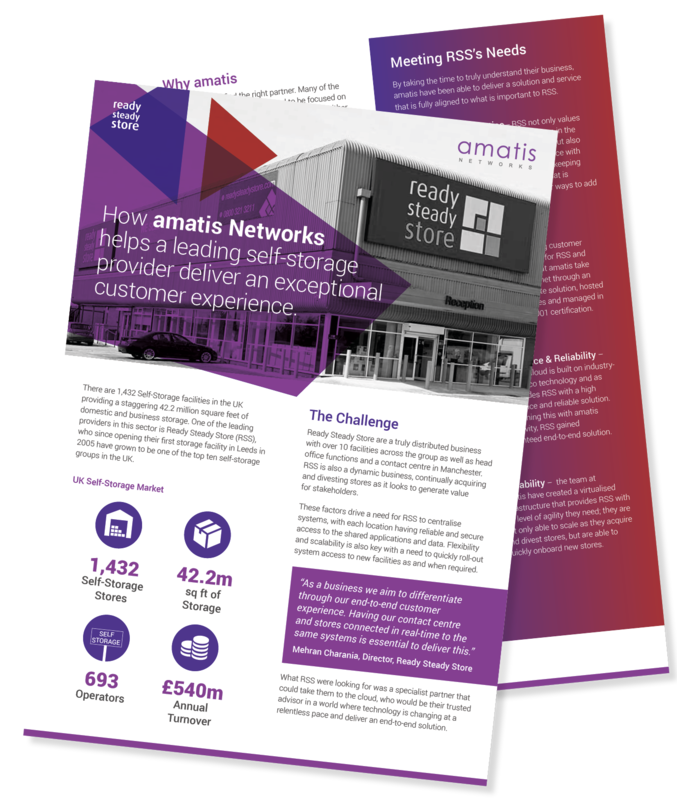 There are many routes that you can take on your journey to the cloud, amatis will guide you along the path that is best aligned to the needs and aspirations of your business. Our data centres in Reading and Newbury deliver private, public and hybrid cloud environments ensuring our customers gain the flexibility and performance they need while not compromising on security and resilience. Businesses depend on their internet and inter-site connectivity, when this faulters, productivity suffers as well as the ability to serve customers. This is why amatis do not resell commodity connectivity services; but operates our own fully managed carrier grade network. Offering a full range of connectivity services ensures our customer are always utilising the right service for their business at that moment in time, while our proactive monitoring and 24×7 support significantly reduces the risk of failure. Every business faces a very real and significant threat from cyber-criminals. Whether this be a phishing scam to obtain user credentials, a hack to steal customer data or a ransomware attack demanding significant sums of money, the risks to you business is great. We can help you secure your cloud environment, protect your end-users and ensure business continuity in the event of a breach. By overlaying security solutions on our cloud and connectivity services we are able to ensure that your systems and data is protected and your end-users have that added layer of protection from malware and phishing attacks. Ready Steady Store are a truly distributed business with over 10 facilities across the group as well as head office functions and a contact centre in Manchester. RSS is also a dynamic business, continually acquiring and divesting stores as it looks to generate value for stakeholders. These factors drive a need for RSS to centralise systems, with each location having reliable and secure access to the shared applications and data. Flexibility and scalability is also key with a need to quickly roll-out system access to new facilities as and when required. Business disruption can come in many forms, loss of access to your office, an IT failure, accidental loss of data or a malicious cyber-attack. Whereas you can take steps to protect against these risk, you can also take steps to ensure continuity of your business in such an event. We help our customers to cost-effectively reduce the risk to their business through cloud-based business continuity. We ensure that business-essential data is replicated in the cloud along with critical systems preloaded on virtual servers ready to be spun-up if the need arises.